PitStop Racing Style Furniture provides the elements you need to take your home or workspace from 0-60! The PitStop Furniture Footrest is the ideal place to rest your tired feet after a day of racing—or working. The bolstered PitStop Furniture Footrest features everything you need in a footrest, in a unique race-inspired package. 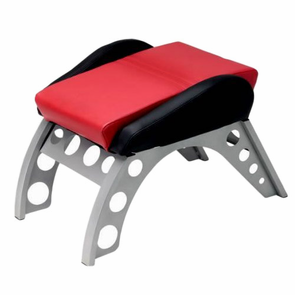 Each PitStop Furniture Footrest is featured in beautiful and durable high quality leatherette. A track-inspired base made from steel-alloy provides stable support for hard-working feet. The PitStop Furniture Footrest is ideal for use with any chair, but is the perfect companion piece to a PitStop racing-style chair.